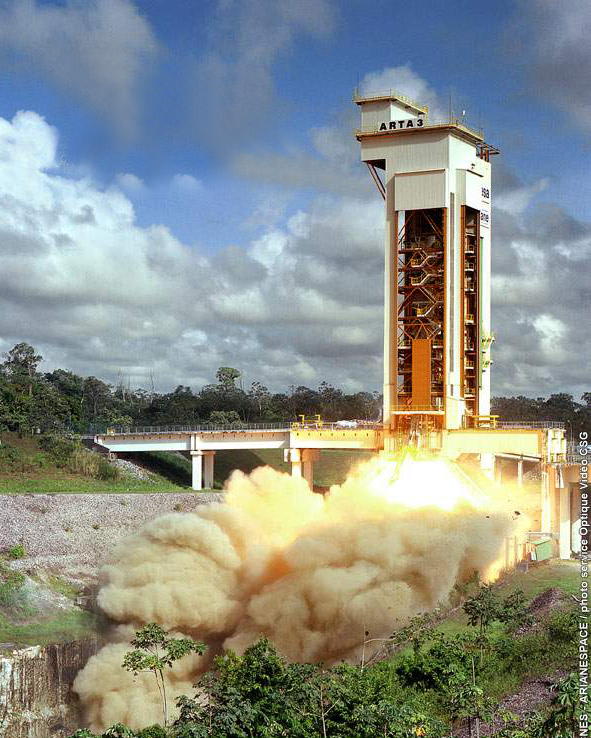 As well as operating launchers, the Guiana Space Centre also conducts live firing tests. On 9 November, the centre’s solid booster test stand put one of Ariane 5’s boosters—the MPS solid propellant motor—through its paces for the ARTA* programme. All launchers have to be qualified before going on the market. But qualification work doesn’t end with the first commercial launch. Throughout its operating life, all the critical elements of the Ariane launcher undergo regular testing to maintain its qualification status. Conducted as part of the ARTA* programme, these tests concern all kinds of elements—from the smallest, weighing only a few kilograms, to the largest, like the MPS. ARTA’s overarching objective is to test specimen articles from the production line to ensure that they function nominally and to compare performance with the results of initial qualification, flights and tests. ARTA also serves to test out planned enhancements. For example, the MPS is a first article of the booster that will fly in 2006. The technology tested is making it possible to reduce the MPS’s weight, thereby increasing the launcher’s payload lift capacity. Another change resulting from technology research work aims to reduce acoustic levels inside the motor. Sampling tests performed regularly on the launcher production line are also intended to track down any material obsolescence or supplier deficiencies. For example, the latest firing test examined the new manufacturing processes or materials used on certain elements. ARTA is therefore crucially important to sustain Ariane 5’s capabilities. In addition to its launch pads, a launch base provides ground support equipment for testing of launcher elements. 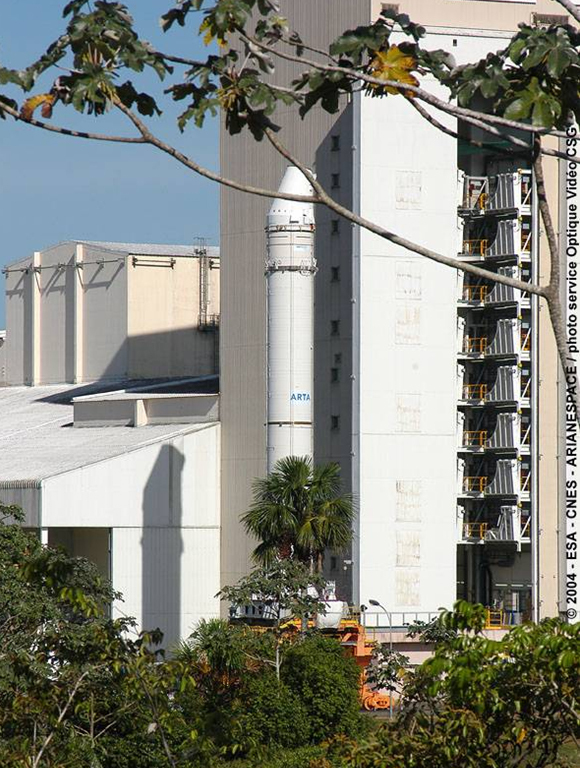 At the Guiana Space Centre, the BEAP test stand is designed to test the 2 boosters on Ariane 5’s solid booster stage. The BEAP is able to test articles in their flight position on the ground, withstanding 1,350 t of thrust—more than Ariane 5 with 2 MPSs! The latest test was the 3rd in the European ARTA programme, after previous firing tests in 2000 and 2001. Initial analysis of the 500 readings acquired during tests is completed within 10 days. Engineers then pursue more detailed analysis for several months to refine simulation models and elucidate any deviations identified. Initial results of this 3rd test are excellent, even exceeding objectives—a reward for 2 years of manufacturing and planning efforts by teams to complete the test schedule on time. ARTA is a European Space Agency programme. As overall project prime contractor, CNES performed the firing test and takes part in pre-test preparations, which on this occasion included making changes to the test stand to meet the test objectives.